The 1st book in this series, Glacial Period is already in its 3rd printing and the 2nd, Museum Vaults, is sold out! Peanut Butter vol.4 by Cornnell Clarke begins! And this issue continues best-selling series Kristina and Girl by Kevin Taylor, as well as Omaha the Cat Dancer and more goodies! 81/2 x 11, 64pp., B&W, magazine $5.95. Voila! Put in your order now at your favorite comics shop! You’ll remember we all thought we had just won it. This book is ever more relevant today, check it out. He risked his life going there to see the war with his own eyes, not trusting the news. 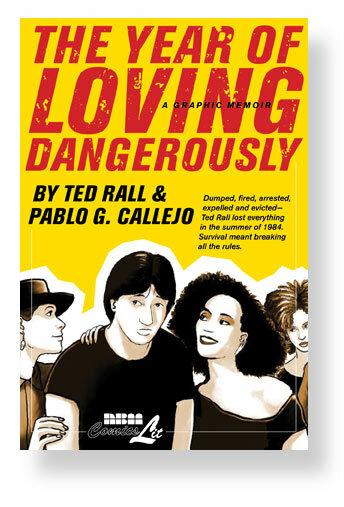 The Museum of Comic and Cartoon Art will host Ted Rall presenting his new book The Year of Loving Dangerously, his graphic memoir on a fateful year where the main issue became basic survival… in a very unusual way. 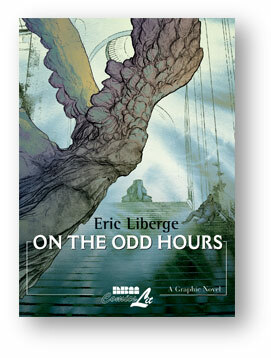 The book is beautifully painted by Pablo (Bluesman) Callejo, a first for Ted to just write. He will talk in person about that year, what it meant to him and the not easy process of bringing this all back up. You can see from recent posts that it’s already garnering great reviews. 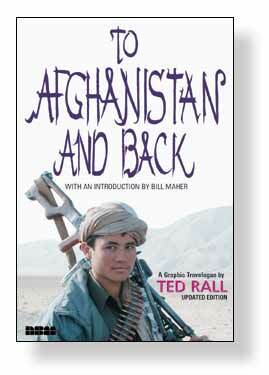 So, if you’re in nyc Thursday Dec. 3, come meet Ted Rall and get him to sign some books by him that MoCCA will have which we’ve donated to them to help them raise money.